Sports groundbreaking A.I. Beauty Technology and the First FHD+ Full-Screen device in its price segment. OPPO, the Selfie Expert and Leader, today unveiled the OPPO F5 Youth especially targeted towards the next generation, the youth. The F5 Youth is the first smartphone that sports the FHD+ full-screen display model in its price segment here in Pakistan and features the ground-breaking A.I. Beauty technology – a technology designed to personalize beautification for subjects on a selfie image, has been designed to meet the demands of the youth of Pakistan. Priced at 27,899 PKR, the F5 Youth will go on sale from December 8 and will be available across the country. On this launch Mr. George Long CEO, OPPO Pakistan said, “We are pleased to introduce the OPPO F5 Youth with a groundbreaking AI Beautification technology and the first smartphone in this price range to sport a FHD+ full screen display. Socializing and looking beautiful is a key to happiness among youth these days so we provided the opportunity to experience the real beauty in you with OPPO F5 youth edition like never before”. Priced more affordable, the OPPO F5 Youth features a high-quality 16MP Selfie camera (f/2.0), a 13MB rear camera and an extraordinary 6 inch full-screen of 2160×1080 resolution(FHD+), bringing worthy visual and mobile Selfie experience. As the well-known Selfie Expert and leader, OPPO is stepping forward and has upgraded the built-in Beautification technology with the smart artificial intelligence and optimizations. The F5 Youth takes enhanced and natural Selfies that reflect the beauty of the users from inside out. 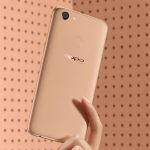 Based on its global human face database and advanced algorithms, OPPO A.I. Beauty Technology can detect the photo shooters’ facial features instantly and result in attractive photos as if being clicked by a professional photographer. With more than 200 facial recognition spots that reference the image against a global database of human faces to learn facial features, shapes and structures, F5 can distinguish each person’s face features from skin tone and type, gender, age and more. After facial recognition, the AI Beauty technology will customize beautify based on one’s features from skin, eyes, lips, to face shape. Along with the Bokeh effects and the HDR backlight optimization, each user can get his or her own Selfie. Through the 6 inch full-screen display, the same model on the F5, the users can interact with a wider screen giving the user a vivid visual enjoyment. It features a high-resolution 2160 x 1080 dpi screen with 18:9 aspect ratio. The F5 Youth comes with Facial Unlock, the new face recognition technology that will recognize its user and unlock the phone. If the user prefers to use the fingerprint unlock function, the fingerprint reader is now on the back of the phone, giving way to a full front screen. The F5 Youth follows OPPO’s streamlined design philosophy – the sleek unibody offers a visually slim appearance without any cut-offs, with a gracefully curved body that fits well in the palm, expressing a simple and elegant look. A user’s palm will not feel tired even after using the phone for a long time, either from playing games or chatting. OPPO’s Color OS 3.2, together with 3G RAM and a 16nm Octa-core CPU processor, results in a minimum 20% raise in performance and 10% less energy spend. New functions and upgrades enable more efficiency. With the Do Not Disturb function, your gaming experience will be smooth. Incoming calls will be shown in the form of a banner without interrupting your game. You won’t even miss a phone call from a loved one or work. The F5 Youth battery life is exceptional, thanks to the 3200Ah battery and the Continuous Optimizing technology which manages the apps running on the device, allowing the user up to 12 hours of continuous use (in a simulated test). A triple slot tray supports two Nano cards and one TF card simultaneously helping you have a smooth experience.